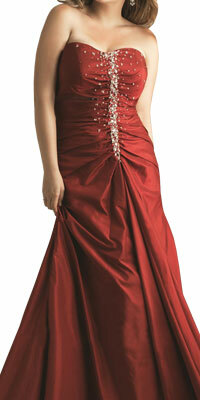 The sweetheart neckline not only looks glamorous but will also get you maximum attention. This dress features a well decorates sweetheart neckline followed by the A line gown patter which is beautifully highlighted with the single line of shimmer which runs along the center of the bodice. The sprayed sparkles all over the dress make it an exquisite creation.